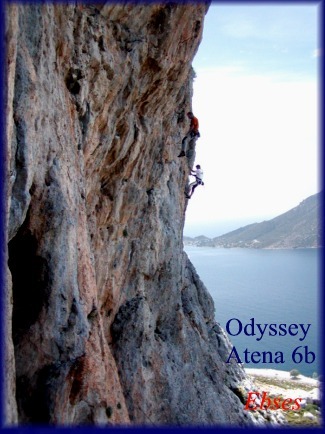 New climbing routes, in Kalymnos island !!! Climbing fields in Kalymnos are accessible to everyone, both climbers who are in their first climbing steps and world champions, since there are routes from 4b until 8c/9a. The Festival also included, in the evenings, projections of slides and videos of the achievements of famous climbers, a tour of the island by boat and trekking to Prophet Ilia, the tallest point of island. The greatest success of the 2nd International Climbing Festival of Kalymnos, was the promise of all participants to visit the island again. 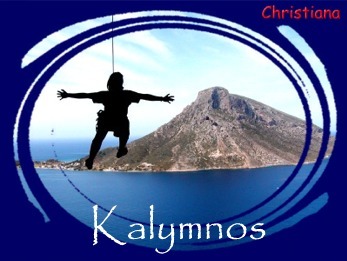 Kalymnos is a real challenge. We'd like to thank Reinhild, Guenter, Christiana and Ebses, for their exciting photos of their visit in Kalymnos!